Hope you all survived the indulgence of Thanksgiving! Now, there is only about 3 weeks til Christmas, so time to get ready! Our Mistletoe “Joe” is a great blend of 3 medium-dark roasted coffees (Honduras, Papa New Guinea, and Uganda) that really bring out a nice chocolate, spice, and slight smokey flavor. We hope you enjoy! Second on the list is our Sumatra Special Dark. This is a fabulous roast that presents with a smooth dark chocolate, pine, and smokey flavor. Another perfect pairing for the winter season! So head out and enjoy that snow! We wish you all a very Merry Christmas! 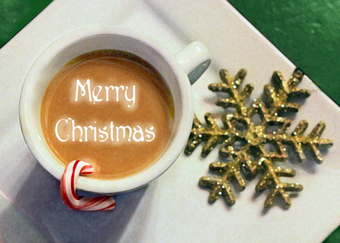 Hope the season is full of joy, love, and great coffee!